Two in one! A reassuring cuddle toy and a soothing teething toy. 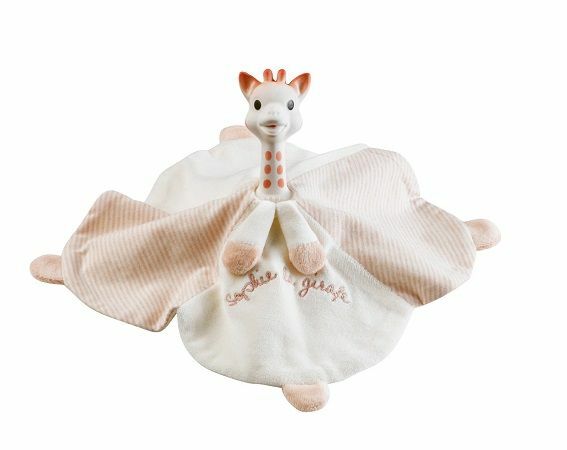 This unique product consists of a super-soft comforter and a Sophie the Giraffe Ring Teether. The Ring Teether cleverly fits through the centre of the comforter to provide little ones with two textures to discover. The Teething Ring is made from 100% natural rubber from rubber trees and helps soothe teething pain. 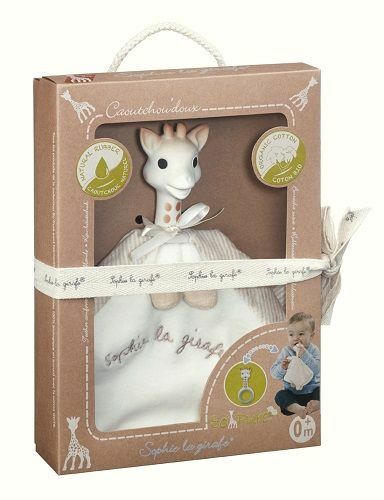 The comforter is perfect for cuddling: your baby will love it! Made from 100% organic cotton, it is light and easy to grip.